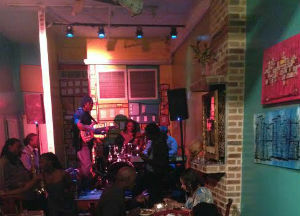 The second New York African Restaurant Week wrapped up Sunday in the Big Apple. And by all accounts for the second consecutive year it was a resounding success. Beginning April 27 and running through Sunday, May 4, kitchens in restaurants specializing in cuisine from nations like Senegal, South Africa, Nigeria and Ethiopia opened their ovens and their doors to give New Yorkers and tourists with an appetite, a curious palate and a craving for good food a taste of what it means to wine and dine like an African. And all at a special discount. French, Italian, Indonesian, Mediterranean, Vietnamese… the list is endless. In a city teeming with restaurants from every nation imaginable.. African is relatively unexplored territory. 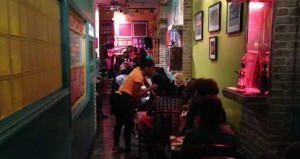 Black Enterprise spoke with three restaurant owners in BrooklynÂ who are revered in their neighborhoods for turning their respective restaurants into small business success stories. They include Lookman Mashood of Nigeria’s Buka, located on Fulton St.; and Papa Diagne from Senegal’s Joloff–it’s on Bedford Ave.; and Mark Henegan of South Africa’s Madiba on DeKalb Ave. So how did these restaurateurs make that major boss move? When did they make that right turn onto the boulevard of success? Each restaurant is owned and run by a couple. Each duo has married vision with passion to transform their dreams into successful business enterprises. 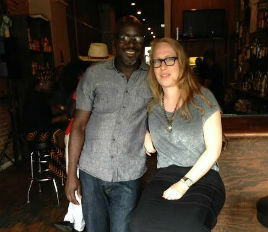 Standing next to Papa Diagne is his wife of 27 years and partner, Rama Diagne. Alongside Mark Henegan is his wife, Jenny Henegan; and Nat Goldberg has been with Lookman Mashood for the past six years. TheirÂ co-ownedÂ restaurant opened on April 13, 2010. 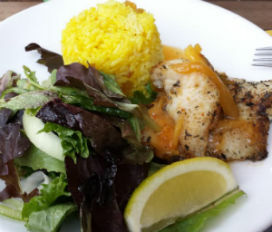 All three restaurants have participated in New York African Restaurant Week since it started. 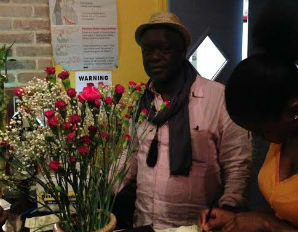 New York African Restaurant Week is the brainchild of Nigerian born Wall Street Consultant Akin Akinsanya. He says more restaurants got onboard this year than did the year before. 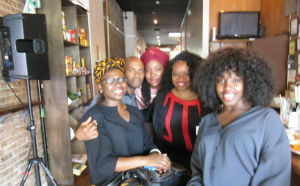 Akinsanya and the rest of the New York African Restaurant Week team say they don’t get paid to showcase any restaurant. 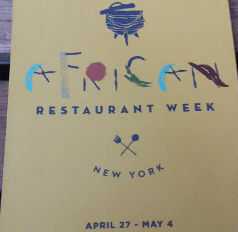 So what are the pros and cons of African Restaurants being a part of New York African Restaurant Week? Not surprisingly, Akinsanya says there are no cons, only pros. He says the restaurants all get a bigger platform to showcase what they do. 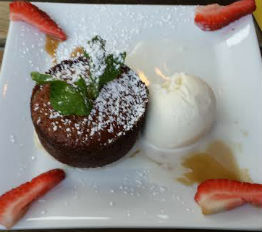 They get a wider audience, and they are able to see what other restaurants are doing. In other words, it becomes a collective learning experience for participating restaurants. Akinsanya says, “Without a doubt, Buka, Madiba, and Joloff are true small business success stories.” Why? Mashood says he made the cuisine there so popular, that when he left in 1998, he was deluged with requests from people who wanted to know when he would open his own place. The opportunity did indeed finally present itself. The thinking behind creating a New York Restaurant Week is simple: to unite African restaurants. The lure is to experience Africa not as a continent, but as a concept. And what better way to do that than through food and music? Akinsanya cites “Madiba” as the best example of what an African restaurant can be and encourages other restaurants to use it as a business model. People in the neighborhood are inclined to agree. Madiba has been ruling the block since 1999 and is practically a neighborhood landmark. Henegan says the plan from the start was to appeal to an international, diverse crowd. Long before it became fashionable or PC to do so the restaurant welcomed everyone regardless of color, gender, religion, or sexual orientation. Madiba is also well-known within the community for its work with AIDS foundations and with gay and lesbian organizations, and for its outreach to school children. He also adds, “We do a lot of giving to the community, and in doing so we discovered that if you give to community, community always gives back to you”. 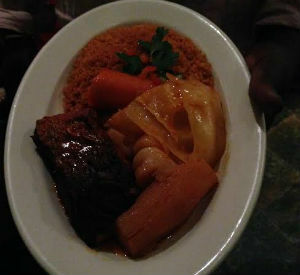 If Madiba is a neighborhood landmark, then Senegalese restaurant Jollof, is the grand-daddy of them all. It’s been around since 1995 and though it changed venues three years ago, from Fulton St. to Bedford Ave., its name is still the gold standard for Senegalese dining in Brooklyn. 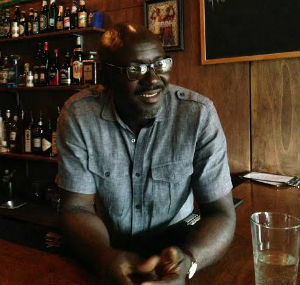 Senegalese-born Papa Diagne has been a Brooklyn resident for the past 25 years. He’s watched the neighborhood change through his restaurant windows. He’s watched as the brownstones changed owners and the street corners emptied. His restaurant is a family effort. Rama Diagne, Papa’s wife, is the chef and Papa handles the front. He says he abandoned the kitchen years ago, opting instead to be the face of the restaurant. Part of becoming successful in the restaurant and hospitality industry is your name. It defines who and what you are, separates your brand, adds mystique to your identity. The three owners agree that deciding on the right name for your restaurant is integral to becoming a successful business model. “Madiba” is, of course, named after South Africa’s national treasure, the late Nelson Mandela. 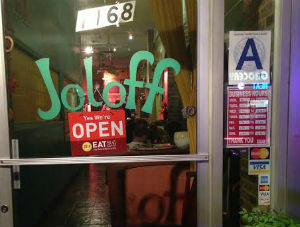 The name “Joloff,” contrary to the reasonable assumption that the restaurant is named after a certain African style of making rice, is actually quite reminiscent of Senegal. He also says that his experience as a chef allows him some leeway because he can always go into the kitchen and assume the chef role. When the chefs didn’t show up he was able to enter the kitchen, put on a uniform and start cooking. It’s the same with the other two owners. They all have cooking backgrounds they can fall back on, whenever there is a crisis in their kitchens. Papa says when the building on Fulton St. where his restaurant was located was purchased by a new landlord, he knew it was time to start looking. Henegan says when he first started the restaurant he did all the cooking and his wife made all the desserts. Although the other two owners didn’t mention expanding, Mashood is looking to open another Buka, somewhere in the Lower East Side, though he wouldn’t mind opening up shop near the United Nations. “I was looking at him like he was crazy. We have been eating in Nigeria long before the white man showed up. It hasn’t changed. It is traditional cooking–the flavor, the traditional spices. When Nigerians come here and find locust bean in their soup, they scream with joy, because that is exactly how their mothers used to make it. People say you have to present the dishes in a certain way, with a certain flair. I tell them, I’m not a French restaurant. I’m not trying to make Italian food. I’m a Nigerian serving Nigerian food, the way it is served at home. Who is going to come to a Nigerian restaurant to order a burger? I’m here to serve them pounded yam and okro. Advice for other budding small business owners and entrepreneurs. All three agree that you must have a passion for the business. They say that you must enjoy what you do. And you can never go wrong with an excellent kitchen staff. He hesitates slightly when asked if his restaurant is a small business success story. He finally admits, “I think I can say that. I’m hungry for more, but yes. We went through this crazy winter and we survived. Akin believes “Your culture is your currency. And your community is your money. If you can’t sell your culture you can’t sell anything. The Chinese started selling their food long before they began exporting other products. If you missed last week’s New York African Restaurant Week, you can indulge your taste for authentic African cuisine later this year. Another African restaurant weekÂ is planned for October.